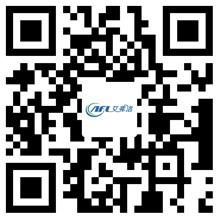 Centrifugal Fan Maintenance for Trouble Free Operation - Hangzhou Airflow Electric Appliances Co.,Ltd. Centrifugal fans tcan cause dirt deposits in the fan housing and impeller, resulting in equipment imbalances, vibration, and partial damage. Periodic inspection of the fan housing and impeller is required to remove dust particles and keep the equipment clean, especially when worn, viscous or wet. In general, the worn surfaces of the fan system need to be repaired or replaced. If the impeller of the centrifugal fan is damaged and cannot be fixed, new components need to be replaced. Non lubricated fan bearings suffer from higher noise levels and abnormal running. It is necessary to keep the bearings from dust and moisture and lubricate the oil or grease in accordance with the manufacturer's instructions. Balance shall be maintained in the lubrication of bearings, otherwise, the efficiency of the equipment may be affected, resulting in higher operating costs. It is necessary to check the quality and quantity of lubricants to avoid possible overheating and damage to equipment downtime. One of the main causes of belt failure is the incorrect belt tension, which may result in excessive noise and poor performance. As the belt wears off with age, make sure that any deterioration is checked. If the belt is in bad condition, please ensure that the new belt is replaced and the tightness is adjusted to minimize the risk of uneven loads. You also need to check the pulley to keep it out of alignment. Centrifugal fan motors need to be kept clean and properly lubricated to prevent overheating and optimum performance. If the voltage is within 10% of the recommended voltage, the motor life can be extended. In order to realize the normal service life of the motor winding, it is important the outside of the motor is not generated. Regular inspection of the above components is essential to keep the fan running in good condition. Removal of air pollutants is also important to improve fan efficiency and reduce operating costs. PREV: DC and AC Blower: Basic Operation Difference NEXT: Why Use a Centrifugal In-line Fan?